Some gaming franchises like Payday or Left 4 Dead manage to port everything forward, good or bad, into future sequels. Others aren’t quite that thorough, and various parts of older titles are abandoned as the franchise moves forward toward newer and better things. Oftentimes the missing elements were either widely disliked or mostly replaced by something that fills a similar role, but sometimes one of those abandoned guns carries a whole playstyle or game mechanic with it. Today I wanted to talk about a few of the fallen soldiers who will sadly never grace our inventory again. 1. Saints Row 2’s Shock Paddles: The defibrillator is the only weapon in any Saints Row game that can bring corpses back to life. The ability to revive dead civilians was great for those opportunities where I didn’t actually mean to kill that person, or for whatever reason I just didn’t want somebody to die. Maybe I’m the only player to ever care about shooting a random passerby when I was aiming for the incoming mobster, but the ability to fix my mistake was appreciated. If you’re less pacifist than me, they’re also halfway decent at melee combat, stunning your opponent with one shock and usually killing them with the next, and they’re the cornerstone of the EMT mini-game that can easily rack up money and reputation. Nothing says “I’m sorry I murdered you to take your motorbike” like un-murdering them! 2. Opposing Force’s Friendly Barnacle: I was originally going to cover the Tau Cannon, another mobility tool/firearm from the Half-Life franchise, but I’ve got to pay lip service to my personal favorite of the countless aliens that left Xen to invade our fair planet. When Gearbox Software got the chance to develop the first expansion pack for Valve’s seminal shooter, they pulled out all the stops and made a game equal to (and even surpassing) the original in so many ways, and Specimen 1176 was a big part of that. 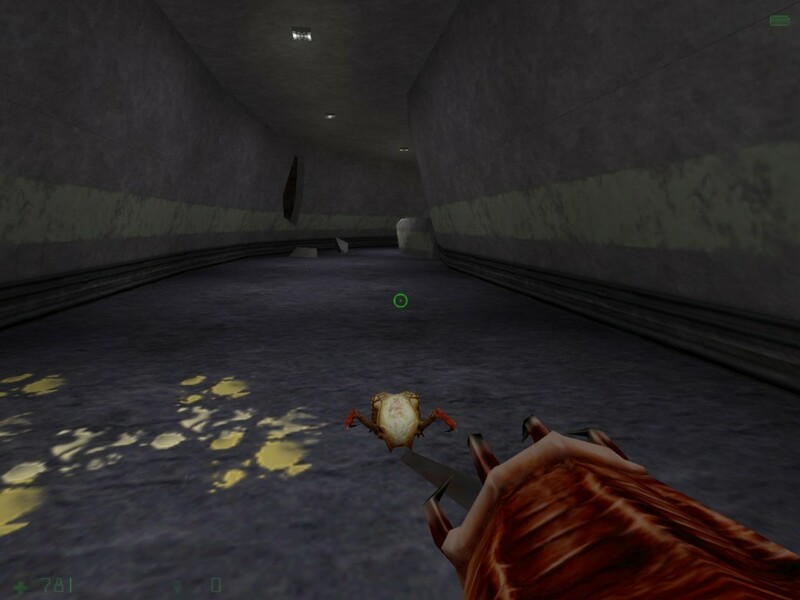 For those who haven’t played Half-Life, Barnacles were an enemy that hid on the ceiling and snagged you with their long retractable tongues, and were second only to the Icthyosaur in causing conniption-inducing jump scares. Some Black Mesa scientists were able to tame one of these barnacles, and when the player stumbles across the remains of their lab, said specimen joins your inventory as a hybrid grappling hook/weapon. By aiming at spore pods that are all over the walls in later levels, you could drag yourself across great distances (and gain some ammo for your spore launcher while you’re at it), or you can latch enemies and drag them into your barnacle’s hungry maw. A very versatile little puzzle-solver who becomes vital for defeating the final boss, everyone on planet Earth owes their life to this little guy. 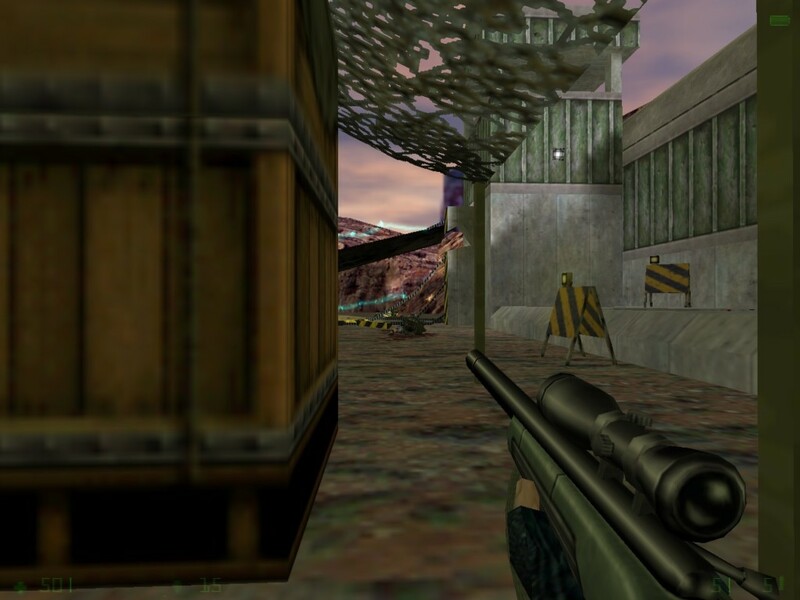 Also, while we’re at it, Opposing Force is the only Half-Life game to give the player a sniper rifle. 3. Just Cause 2′s Air Propulsion Cannon: Have you noticed by now that I love mobility tools? The Black Market Boom DLC is the only one I consider worth purchasing, and this gun is the sole reason. There’s almost no end to the amount of crazy shenanigans you can get up to with the APC. It fires a torrential cone of wind that sends whatever you’re looking at flying. Jump on the back of a car, fire the APC behind you and give yourself an uncontrollable speed boost. Send enemies, vehicles, or explosive barrels flying through the air, or grapple them to the pole first and make a pinwheel. Rico Rodriguez is already a gravity-defying physics wizard, and this gun does such a great job amplifying the crazy Just Cause gameplay that I can’t imagine playing without it. Except now I can, because so far the gun has not appeared in Just Cause 3 or any of the overpriced DLCs that have come out. The APC would be so amazing when comboed with the multi-tether with retraction control or rocket booster explosives, the possibilities are endless. 4. Bioshock’s Research Camera: Bioshock is one of the best series out there due to its polished gameplay, storyline, atmosphere, and particularly the sheer breadth of possible playstyles juggling your limited resources between weapons, gene tonics, skills, and purchaseable upgrades. So I couldn’t believe it the first time I was playing through the first Bioshock and discovered the Research Camera, which added another layer to the combat system. While it doesn’t deal any damage, landing photographs of your enemies fill your “research” meter that grants you benefits against that enemy type. You got more points for combat photos, rewarding daring photojournalists, and this added yet another element to the gameplay. 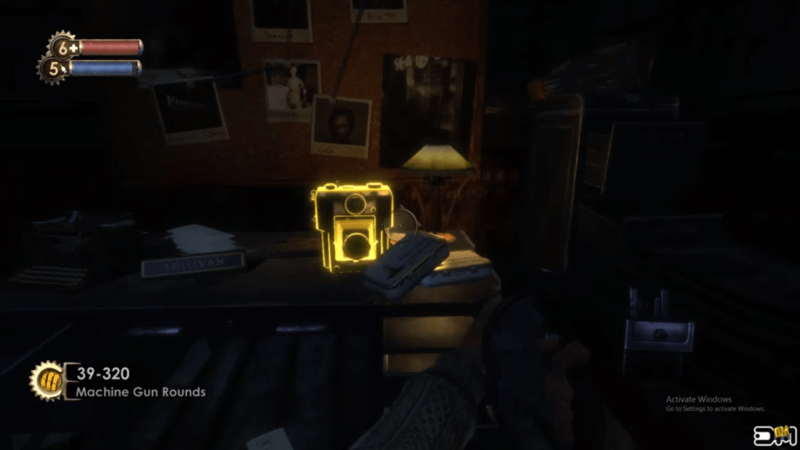 Bioshock 2 expanded on the camera by making it a film camera, so recording became more dynamic than just snapping still photos, not to mention the game also removed the need to ‘reload’ the camera with film. Then the entire research mechanic was ignored in Bioshock Infinite, which disappointed me. I’m a very passive, calculating player who loves specializing in defense, and the camera was perfect for my playstyle. 5. Team Fortress Classic‘s nailgun. And last but not least, we return to the Daily SPUF‘s favorite gaming franchise. Team Fortress 2 feels like it has every gun known to mankind, but it explicitly removed the nailgun (or any valid replacement) from any of the classes. 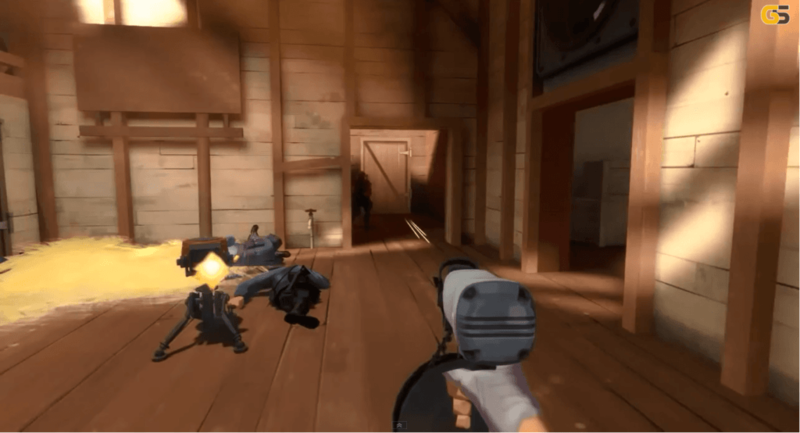 While Sniper, Scout, Engineer, and Medic have inventory items that kinda feel like the nailgun, they all miss the gravity-ignoring perfect accuracy pellets that defined its role in the TFC meta. It was rubbish against moving targets but excelled when destroying sentries and camping snipers, two parts of TFC that tend to be rather frustrating. Despite being an underwhelming weapon nobody really appreciated in TFC, it turned out to be too good at its niche and so the SMG, pistol, and Syringe gun that replaced it in the sequel are all low-damage low-accuracy situational emergency weapons that are completely put to shame by their predecessor. I miss you nailgun. I wish Valve would re-add you.